Ani Bundel: 'American Idol' is back and more patriotic than ever. No wonder it's so boring. Ani Bundel 'American Idol' is back and more patriotic than ever. No wonder it's so boring. The show was never great because it was American. It was great because it brought America into a worldwide phenomenon. 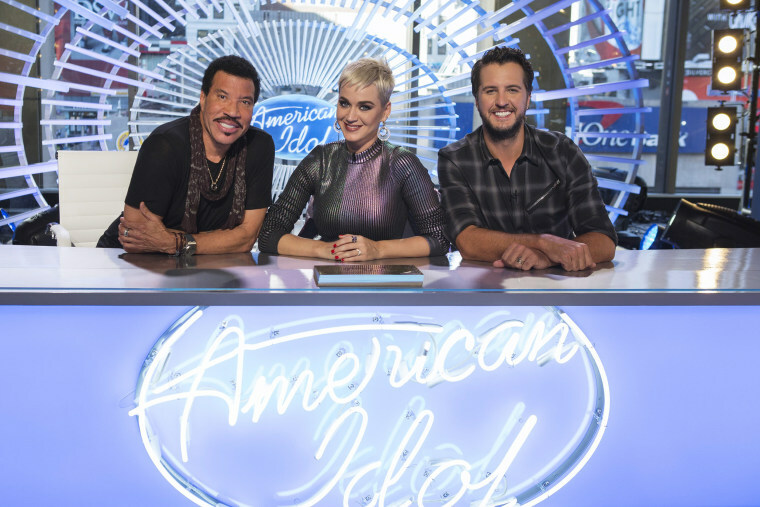 “American Idol” has returned to the airwaves only two years after the highly rated “farewell” season in 2015, albeit shifted down the dial from its longtime home on FOX to. At first glance, the show, once again on “season one,” has stayed exactly the same, despite the channel hopping. But ABC’s version of “American Idol” has made one big change to its format, presumably to keep up with the times: It now emphasizes the “American” of the title. This change, while seemingly semantic, actually betrays a fundamental misunderstanding of what made the show great. The show was never great because it was American. It was great because it brought America into a worldwide phenomenon. The new version of “Idol” looks like the one we remember from its previous 15 seasons on the air. There are three judges, of varying levels of household name recognition. A slightly tarnished Ryan Seacrest stands front and center as host, though now he brings his credibility from elsewhere to bolster the new “Idol,” where it was once his credibility from “Idol” that he brought to his other jobs. The audition episodes still contain miles of B-roll between each audition segment. In the past, Seacrest’s narration would emphasize the musical legacy of the cities chosen for the audition rounds, the stories of those auditioning, with a few auditioner-in-the-waiting room interviews thrown in for flavor. This year, the show opened with the southern-accented twang of season four's winner Carrie Underwood, the only major country music superstar the show has ever produced. Over shots of sunsets, rolling hills, cornfields and Main Streets filled with American flags, Underwood describes how great this show is and how great our country is, filled as it is with blue-jeans-wearing, fresh-faced undiscovered talent. It’s Americana taken to the extreme, and it would feel like a parody if everyone on the show weren’t so ultra-serious about it. This segment, and others like it, suggests “American Idol” is a show invented by America, with all other singing competitions (“The Voice,” “Duets,” “The Four” — the list goes on) representing outgrowths of our ingenuity. But anyone who knows the origins or the history of these sorts of competitions can tell you the opposite is true. “Eurovision” was a Swiss creation, based on Italy's Sanremo Music Festival. It was designed to push the newly popular “television” technology to unite European countries into a one-world competition in the painful aftermath of World War II. Just as people talk about the unifying power of the internet, the goal was to make something like WWIII seem unthinkable. This contest, and all the values that come with it, is as eurocentric as one can get. How does Idol’s format spring from Eurovision’s values? One of the first things people bring up when they talk about “Idol” is Simon Cowell, and his brutal assessments contestants. But Cowell’s real talk sprung from a format which assumed contest winners would go on to perform against other national winners — you needed to be on top of your game to beat the best of the rest. The monocultural aspects lead to "Idol's" freakish levels of popularity in the mid-aughts. That’s baked into the concept, as it is supposed to function as a way to have a harmless nationalist feelings outlet. “Eurovision” is a lifelong obsession for many across the pond. The rise of “Idol” here was merely our country catching up with the rest of the world. Ultimately, "American Idol” was a chink in the American exceptionalism armor. It was an easy jump from “Idol” to other eurocentric singing competitions, like “The Voice” (which began as “The Voice of Holland” and is considered a stepping stone to auditioning for “Eurovision.”) From there it wasn’t a big step for Americans to start watching “Eurovision” itself, and wondering why American wasn’t invited to participate in such a competition. In the spring of 2016, “Eurovision” aired in the United States for the first time, on the cable channel Logo. Prior to this Eurovision had blocked any airing in the United States, including geolocking YouTube, so the only way for fans to watch was via VPN or illegal streaming. That year, we sent our own artist as the halftime act, to remind Europe we have talent too: Justin Timberlake. Meanwhile, “Eurovision” was also opening up to a larger world, airing in China and adding Australia to its permanent list of invitees, after a “guest” year in 2015. Fans hoped America could follow that path. Trump’s election has been seen as a setback for America’s role in the larger global community. We are isolating ourselves from world politics by ducking out of the Paris Agreement on climate change and the Trans-Pacific Partnership. But we’re also getting cut out culturally, including from shows like “Eurovision.” Suddenly, “American Idol,” instead of being a gateway to the larger cultural landscape, is echoing the nativist sentiment that Trump’s election brought to the forefront. Notably, along with “Idol’s” new emphasis on Americana, Cowell’s “real talk” is also missing — and with it, perhaps, the show’s ability to mold a pop superstar that could survive outside the show’s cocoon. (Besides, fans know there’s only one “American Idol” season one, it aired on FOX and the winner’s name is Kelly Clarkson. She’s currently part of the cast of “The Voice,” which competes directly with “Idol” in its Monday time slot.) “American Idol” may have returned, but it is to an America with its gaze turned inward, even as the world moves on to a more global “one world” attitude without us. It no longer matters if “American Idol” finds the best singers. It’s only interested in promoting ourselves to ourselves. No wonder it feels boring.